By Chad A. Parker, LSW Executive Director of Residential Services It is an exciting, and humbling, experience to watch someone reach beyond their own needs and desires to help someone less fortunate. It’s even more exciting when that “someone” is a Mansion Kid! Over the last several months, several of our residents and staff children have become involved in a tremendous organization known as the Civil Air Patrol. http://www.gocivilairpatrol.com The Civil Air Patrol (CAP) is a congressionally chartered, federally supported, non-profit corporation that serves as the official civilian auxiliary of the United States Air Force. CAP is a volunteer organization with an aviation-minded membership that performs three congressionally assigned key missions: emergency services, which includes search and rescue (by air and ground) and disaster relief http://en.wikipedia.org/wiki/Emergency_management operations; aerospace education for youth and the general public; and cadet programs for teenage youth. (Taken from Wikipedia) Our local squadron, the Eagle Squadron, have participated in many drills, mission practices, air shows, and have even had the chance to acquire some time to fly a plane (with supervision, of course). The cadets, also, participate in classes for leadership training, aerospace education, and moral character. The cadets meet every Monday night with some particular assignment to complete, and this is indeed a highlight of the week for those involved. These have been tremendous opportunities, and great memories, for our Mansion Kids! What a testimony! These children have risen from the ash of abuse, neglect, and/or abandonment, to become everyday heroes helping to serve others in their community! 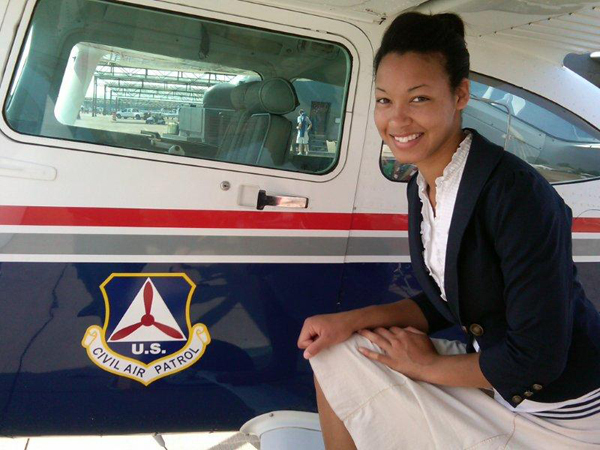 For more information about the Civil Air Patrol, visit the website listed above. For more information on how you can help a Mansion Kid who is involved in Civil Air Patrol, you can email me at chadparker@mansionkids.org.